On this episode we hear from the creator of Jesus Loves Oregon, Steve Bedsole II. Steve does not have a ministry back round, he simply started Jesus Loves Oregon on the idea of “see a need, fill a need”. With a heart to connect the body of Christ through the personal testimony of Jesus, Steve interviewed the ones he knew and then ventured out into new connections. It has really been a journey of discovery. He came to know Jesus at 23. You can read Steve’s personal testimony HERE. Over the last 9 months our family has been on a journey turning our faith into action. The first real step into the unknown was in March 2018 when the Lord called me to leave my sales job (making decent money) to begin my own entrepreneurial adventure in Real Estate photography, launching Brighton Media, LLC. 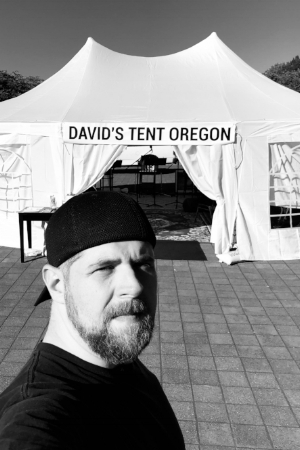 This freed up some of my time to focus on Awaken the Dawn: Tent America as the Oregon State Ambassador. In August Catalyst Convergence hired me to assist the Director of Mobilization for Compassion to Action: Portland 2018. Working with these two movements woke a deep passion within me. I was created to connect the body of Christ together in order to bring city transformation! We have received an assignment from the Lord to be a “Family on Mission”. We have been asked to come on staff for the next two years with Take the City in Columbus, GA starting this January. The first role is as the Mobilization Director for The Reach Atlanta Campaign. The dream is to see hundreds of churches across the Atlanta Metro area come together to see the Body of Christ unified and mobilized seeing whole cities revitalized. We envision racial and denominational lines being crossed as churches unite to share the gospel with thousands of people around Atlanta. The goal over the next 2 years is to host 18 training events in the Atlanta Metro area and through those events launch 100 “Reach Groups” to reach every family with the gospel. Check out this video about Reach Atlanta! Share it with your friends and family. The second area is called Project Lifehouse. Take the City is excited to be partnering with churches and businesses from all over the Chattahoochee Valley to work towards transforming 10 neighborhoods. The goal of “Project LifeHouse” is to fix up houses in impoverished areas and place families in those homes to bring hope and transformation. Our family has been asked to live in one of these houses and we are excited at the opportunity to live in a missional home. We will be ministering to our area through a community garden, consistent service projects, outreaches, small groups and simply sharing the love of Christ. Would you partner with my family and be a part of our ministry in Georgia as we love the broken to wholeness and bring the body of Christ together to Reach Atlanta? You can give at give.takethecity.com. Simply select “staff support” in the designated gift box on the Personal Info page, and type in “Bedsole” in the box at the bottom to be sure your support goes directly to us. In this episode, we share some exciting news and welcome Daniel as the newest member to the Jesus Loves Oregon team! Daniel graduated from George Fox University with a bachelor degree in mechanical engineering, but after working for three years God called Daniel out of engineering and into real estate. Now, Daniel is a Realtor who partners with other nonprofit organizations and is passionate about turning real estate into a source of fundraising for nonprofits and ministries. For every home sold Daniel gives a portion of his commission to nonprofit organizations. Daniel has also recently started his own podcast called The Elpis Project where he interviews other nonprofits. The goal of The Elpis Project is to inspire and give hope to others (elpis is Greek for hope) by spreading the word about what other nonprofits are doing in Oregon. We’re excited for Daniel to come aboard and begin contributing to Jesus Loves Oregon! You can check out The Elpis Project here, and Daniel’s real estate website here. Angela, a musician from a young age, has a heart to teach, model and see artists release their creativity in the earth, displaying the glory of God and revealing His love. She has been singing, playing the piano, writing songs and recording music for 15+ years. Angela is a worship leader at Jesus Pursuit Church and lives in Albany, Oregon with her two children. Angela is sought out as a worship leader and teacher. She travels nationally and internationally leading worship and speaking in conferences, events, churches, camps and training centers. Her heart, passion, and “first love” relationship with Jesus is contagious and her desire to run after Him in full obedience shines through in every song and message. Her friendship with the Holy Spirit and longing for the manifest presence of God mark her life and ministry. 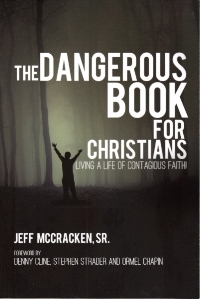 On this episode, I'm with Jeff McCracken from Rainier Assembly of God. Did you know there is a NORTHWEST SCHOOL OF SUPERNATURAL MINISTRY!?!?! Jeff shares his heart for the school and how it bridges the gap between denominations. Speaking of denomination, we discuss 500 year anniversary of the Reformation AND Rainier Healing rooms. Jeff shares a few powerful testimonies on healing and divine intervention. The testimony of Jesus is undeniably powerful and changes lives. This episode is PACKED! ENJOY!!! RoxAnne carries a strong gift of discernment and works powerfully in SOZO ministry (spiritual deliverance). She is a well-known administrator and organizer that is often called upon to work behind the scenes at conferences and gatherings. 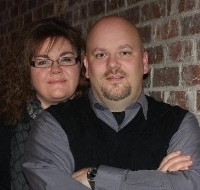 Jeff and RoxAnne have ministered in Europe and Asia, where they have ministered to military, government officials, churches, youth, and been keynote speakers in pastor’s conferences. Jeff and RoxAnne have been married nearly 25 years and have three amazing adult children- Maddy, Ian and Abbey. NWSSM is a Holy Spirit-driven ministry school where students learn how to live in the Kingdom of God and extend its borders through a supernatural lifestyle. NWSSM is a multi-generational school with participants ranging in age from 18 to 80+ and many students who come have had years of educational, ministry or professional experience. One of NWSSM’s core values is honor, and one way this happens is through joining the generations together and teaching every age group to value and serve one another. People often come to the school because they want to see the miracles, but those who stay for 2nd and 3rd year stay because of the culture and the atmosphere. They want to learn how to sustain and maintain what God has impacted their life and family with and to cultivate a momentum that releases it wherever they go. The Lower Columbia Healing Rooms (LCHR) are located inside Rainier Assembly of God Church and are open every Tuesday night at 7 PM (whether and holidays permitting). There is no charge for this ministry and it is not a church service. If you have any questions, please feel free to contact us! Be blessed! You can learn more about the LCHR and see the testimonial video we discussed in this episode on FaceBook. On this episode, I sit down with Dan Mickelson Senior Pastor of New Song Church in Medford. We are joined by his Youth Pastor Andrew Gifford and Dennis Sanders with the Medford Healing rooms. Together they are apart of Mission Oregon, recently they traveled to several Oregon college campus's. They share some favorite stories from the campus outreaches. We also discuss what it means to enjoy God more and more. Garris Elkins has been called by God to raise up a prophetic generation who will speak to the cultures of our world with the empowered voice of Heaven. Garris’ ministry seeks to align people with their God-defined destiny through teaching, writing and prophetic ministry. Garris and his wife, Jan, live in beautiful Southern Oregon. They enjoy walking in the hills that surround their home and lingering over a cup of good espresso. Be strengthend and encouraged as Garris talks about stepping through fear in the midst of transition. On this episode I interview Dan Silver from Jump-In Northwest. Dan tells his story of being swept into the kingdom during the Jesus Movement. Going from the heart of the Vineyard movement in California to Kansas City to go Deeper. How he ended up in Oregon and of all places Canby Oregon teaching children to hear the voice of the Lord. WE LONG TO SEE THE CHARACTER AND POWER OF JESUS FLOW OUT OF CHILDREN IN A NATURAL, UNINHIBITED, AND FRUITFUL WAY. CHILDREN ARE ABLE TO INTERACT WITH THE LORD PASSIONATELY AND THE LORD CAN MOVE THROUGH THEM TO CHANGE THEIR LIVES, THEIR FAMILIES, COMMUNITIES, AND THE WORLD. ON TUESDAY'S: Kids are the heart and soul of how Jump-In began. They continue to be an integral focus and part of all we do. Our kids meetings on Tuesday night typically include worship, prayer sets, prophetic time, teaching and ministry. We incorporate worship and prayer together with the opportunity for kids to learn how to pray with each other and on the microphone. Our goal is to not only to partner with God and petition heaven to change things on earth but also to help kids get comfortable with leading and praying in corporate settings. Times of teaching will often include practicing hearing the voice of God, through word pictures, dreams, visions, bible verses and sharing them with others around us. It is a smaller, safer environment to practice ministering and sharing our faith in practical ways without pressure and with allowance to not always have it right. We believe moving in the gifts of the spirit with mercy and accuracy comes with experience. Jump-In is a safe place for everyone to learn and grow in this process. We are preparing for another great summer of camps at Canby Grove. Jump-in is hosting 6 great camps all in the month of July. Whether your child is going into first grade or entering their last year in high school we have a great week planned for them. On this episode, I interview Denny Cline and Senior Pastor Emily Tedrow. Emily tells us who Jesus Pursuit is and what they are about. Also, we discuss being the church out the walls of building and the importance of encountering the Love of God. Denny shares his heart to see a reformation in the body of Christ. After Emily Tedrow had a radical encounter with the love of God at the age of 19 that completely changed her life, Emily has been running passionately after God ever since and taking as many people as she can along for the journey with her. Although she is known widely as a prophetic songbird, she is also one of God’s emerging leaders in the body of Christ. It’s Emily’s great passion to raise up disciples of Jesus and to empower the body of Christ to do the ministry of Jesus. Emily is the lead pastor of Jesus Pursuit Church in Albany Oregon where she’s been ministering for almost 20 years. More than all of the above, it’s Emily’s genuine love for God and for people that defines her worship and her ministry. Emily and her husband Justin and their 2 amazing daughters live in Albany, Oregon where they serve as pastors at Jesus Pursuit Church. Denny Cline is the founding pastor of Jesus Pursuit Church and is known and loved for his simple, compassionate and yet extravagant approach to Kingdom life. He is a notorious “God-chaser” who has led Jesus Pursuit Church (formerly VCF Albany) in a bold direction that has birthed many developing ministries and produced a rich harvest of fathers, mothers and children filled with the zeal of the Lord. Jesus Pursuit Church, is an expanding resource church that emphasizes love, worship, and the presence of God along with the importance of all the saints participating in ministry. It is Denny’s dream to see thousands become carriers of God’s glory to their neighbors, work places and ultimately to the nations. Jesus Pursuit Church is a local community of faith as well as a regional resource center dedicated to equipping the saints for the ministry of Jesus Christ. We exist to glorify Jesus and take His message and works of the kingdom of God to Albany, surrounding cities, the Northwest and the nations. We are a community of faith that values Christ-likeness in committed, loving relationships that don’t give up on one another. We endeavor to keep the unity of the Spirit as we humbly extend ourselves to the poor, broken, and bound that need Christ regardless of their culture, race or background. We value freedom and creativity endeavoring to help each other fulfill our destiny in Christ, while trusting God to grow us up into Him as we respect family and personal responsibility in our relationships with each other. We long to know Jesus in friendship, power, and truth as we give priority to worship, prayer and His word, waiting upon Him to know His presence and to hear and obey His voice. We long for more than a visitation of the Holy Spirit. We long to become a place of habitation where He can come and remain in our midst. We are coming into an incredible new season. While there is still much that looks chaotic in the natural, God is on the move restoring people to Himself and one another. Everywhere around us there are testimonies of lives coming to Christ and broken relationships being reconciled. We have been hearing from the Lord “The Key To Revival Is The Restoration Of Family”. With that in mind we have invited key people to speak, minister, and lead worship this year with our own team of people at Jesus Pursuit Church. On this Episode....we sit down with Steve Trujillo [ˌtro͞oˈhēyō ]. founding pastor of Father's House City Ministries. Steve tells us how he migrated from Cuba to the States. When he first fell in love the city of his Destiny and we learn many MANY ways Father House City ministries is transforming the city of Portland. Steve and Deborah fell in love while they where writing music together for an outreach ministry to young people. Ever since, God has used them as a team to serve the hurting, the broken and forgotten. They ministered as youth pastors for 10 years and together they pioneered Father’s House City Ministries and serve as its senior pastors. They are the parents to Tony and Marissa who are also serving God with their gifts and talents. Steve & Deborah are emerging servant leaders to the city of Portland and the body of Christ who walk in an apostolic anointing. They are prophetic visionaries who see the big picture and understand the direction in which to go. They are known for their passion for the presence of God and the transformation and empowerment of people so they can reach their God given call and purpose. The presence of God is central to all we are and do. Living from Heaven to Earth is our commission. We are dependent on the person and work of the Holy Spirit. All people have been created by God in His image and are called to become sons and daughters in the Kingdom of God, so we will value and love people unconditionally. We live out the Isaiah 58 mandate to serve the poor and oppressed, and the Isaiah 61 mandate to bring good news, freedom to the captive and restoration to the sick and hurting. Father’s House seeks to live as family with one another and on mission to our world by alternating our schedule between small groups and focused outreaches. On this episode, I chat with the bi-vocational pastor of Revolution Church and Owner of Alpha's auto detail. On this episode, I chat with bi-vocational pastor of Revolution Church and Owner of Alpha's auto detail. Did I mention he is the father of 3!! This man of God does it all and is loving IT!!! We learn about his history with Jesus. Discover what it means to have a friendship with Jesus, & to Love God and Love people is his heart! Did I mention he is the father of 3!! This man of God does it all and loving IT!!! We learn about his history with Jesus. Discover what it means to have a friendship with Jesus, to Love God and Love people is his heart! On this episode of Jesus Loves Oregon I have the opportunity to sit down with the founder of God Will Provide International Ministries Peter Nakhaychuk. We discuss his story of receiving Gods mercy and being free from a life of persecution in Ukraine. Peter shares with us his encounter with the Lord that changed EVERYTHING! God Will Provide is a global ministry with Rehab Centers, Missionary Schools, Orphanages, Churches, and beginning in May Crusades in CONGO!!!! ABOUT - God Will Provide Global Association is a non-profit organization, which was established in 2004 for the purpose of spreading the Gospel throughout the world. Moved by a burning desire to testify to people about Jesus Christ, we have reached out to many different countries, sharing the Good News of One who died for the sins of this world. What originally began as a small circle of daring hearts with big dreams and an even bigger vision has grown into an international support system, fueled by faith and perseverance. In 2005, the city of Boring, in the state of Oregon, became home to a Christ-based rehabilitation center for men, followed by a rehabilitation center for women, which opened in 2009. God Will Provide International Mission functions as a network through which we connect with people overcome with drug and alcohol addictions, as well as related physical or spiritual struggles. As we arrive to any new country, our plans are to build an orphanages for parentless children in the community. We pray for God to persevere us as live vessels in His hands, through which the Gospel may be carried to the ends of the earth. MISSION STATEMENT - God Will Provide is a Scripture-soaked, Spirit-led community expectantly seeking transformation into our identity in Jesus. VISION - Equipping one another to bring the wholeness of Jesus to a broken world. Through the work of God Will Provide International Missions, there are now orphanages, and churches in Honduras, India, Ukraine, Mozambique, and now God has opened the door for us in Kenya, and we have chosen to answer his call! This video shows one man effected through the ministry of God Will Provide Kenya. On this episode I interview Jim Moore, the founder of The Salem House of Prayer. He shares with us his story of starting a 24/7 house of prayer. Jim takes us from a his pilgrimage to the International House of Prayer (in its infancy) in Kansas City to the miraculous redemption and transformation of a night club in downtown Salem. Blessings! The Salem House of Prayer is a city-wide, multi-denominational, worship and intercessory ministry to the body of Christ in Salem, Oregon and the surrounding area. Our goal is to build a “corporate altar” of night and day prayer where we may stand before Jesus, unified and strengthened in our unyielding love for the worthy Son of Man. It’s a place where the first commandment, to love the Lord your God with all your heart, soul, mind and strength, is put into practice, result­ing in outward expressions of loving your neighbor as yourself. The Salem House of Prayer is a focal point for local churches to come together in unity and pray for revival of our minis­tries and for the spiritual awakening of our communities to the Gospel of Jesus. We will continually cry out for God to visit our city and release great love for Jesus, a massive harvest of souls, abundant signs and wonders, and a powerful spiri­tual movement among the youth. We are committed to city-wide involvement of this ministry and to partnering with the body of Christ in the city of Salem. This is PART II of my interview with Ty and Daneen Bottler. We discuss having more of God and living out of the overflow, Daneen shares with us about the title track REVEALED, and Ty tells us the story of deciding to make another album. Ty and Daneen believe that walking in our calling and purpose does not come from our own effort or striving, but is a fruit and a by-product of our intimacy with the Lord. They also believe that our walk with the Lord will always lead us to action. This action is not accomplished outside of Him, but is done with and through Him, which produces a sense of peace, joy and rest as we are walking out our assignments of bringing His glory everywhere we go. Ty and Daneen have been married for over 20 years and have 2 wonderful children, Trenton & Kylie. They are based out of Father’s House City Ministries, a church in downtown Portland, Oregon. Serving as the senior associate leaders, they oversee the worship & prophetic ministries in the church, and they continue to champion the message of unity throughout the region. They have had the honor of speaking and leading worship in a number of churches and conferences throughout Northwest and Canada. On this episode we have PART 1 of my interview with Ty and Daneen Bottler. We discover what there back round is, they share a couple of stories how God met them in a very real way as children. We learn the heart behind the song Deeper, what it is about. Lastly, the song "Deeper" from their album Revealed, ENJOY! On this episode I interview Luke Glover, the pastor of an upcoming church plant in North Portland, City Vineyard. Luke shares his story of when he decided to follow Jesus and today living out the origin story of City Vineyard. Luke and Lena Glover pastors of City Vineyard, a missional community set to launch in 2017. Located in North Portland with a hunger for worship, quest for authentic community, and a love for our great city. We journey together in being disciples of Christ and sharing the good news of the kingdom. A come as you are but expect to change. On this episode I sit down with Vince Gies the owner of LeRoy Business Group. We discuss Vince's boldness and faith to start LeRoy Business Group, also I learn how the Holy Spirit stopped him from committing suicide using TBN! There are some great stories in this episode, ENJOY!! We also discussed personal healing ministries Vince and I have gone through. Below are some links for tools God has used in to bring Love, Joy, Peace and wholeness to our lives. On this Episode I interview Dr. Aaron Winter with Hearts of Fire International Ministries. We discuss Aaron's story of Jesus stepping into Aaron's life. We talk about the 3 years it took Aaron to orchestrate The Northwest Prayer Summit and what is at the heart of it all. Hearts of Fire is the international ministry of Dr. Aaron Winter and is aa Spirit-Filled Christian Organization. Called by God to awaken hearts, activate revelation, usher in revival, and bring unbelievers to Jesus Christ; this organization exists for the purpose of bringing everyone to the place where they can EXPERIENCE GOD.Hearts of Fire hosts & participates in many different kinds of events including seminars, conferences, international crusades and the television program Hearts of Fire TV. Join us at the Northwest Prayer Summit to exalt Jesus Christ as LORD over our community, region, and nation. As a unified Body of Christ, let's engage in strategic transformational prayer and by the grace of GOD usher in breakthrough! On this episode, I interview Timothy Moore (TEEMO). Teemo is the senior pastor of Impact Community Christian Center. Teemo is also the host of Rose City Forum on KKPZ 1330 AM M-F 12-1 pm. Is a Biblical Entrepreneurial Missional Church. We are a church family with a missional matrix. ICCC is about turning our heart outward as we come together in community doing life together. Its not complicated really, it is just passionate people with a purpose to make a powerful difference in our community. This module focuses on understanding biblical keys to hearing God’s voice. Instruction and activations will explore practical disciplines for growing in this important aspect of our journey as followers of Christ. In this module, students learn a biblical approach to knowing God as Father that deepens the experience of his love. As believers we've often had a shallow understanding of the revelation of the Father’s love. Underlying issues that block the experience of His love are exposed and removed. This deeply impacting module focuses on the sanctifying work of the Holy Spirit. Practical teaching on healing life’s hurts and freedom from oppression will apply the basic Christian tools of repentance, forgiveness, renunciation, and deliverance. and regularly hear and give prophetic words. This module will focus on the biblical framework for New Testament ministry and practical wisdom while giving and receiving ministry. This module focuses on impacting our world around us in both powerful and practical ways. Students learn that experiencing God’s presence is a lifestyle and his love is waiting to be expressed. Preparation for outreach!